The potential of an increased use of insects was discussed. In addition to the use as feed or food, the use of its constituents in the fields of pharmaceutical, chemical and materials industry is conceivable. The Hermetia Baruth GmbH operates Europe’s largest plant for the production of larvae of the black soldier fly (Hermetia illucens). 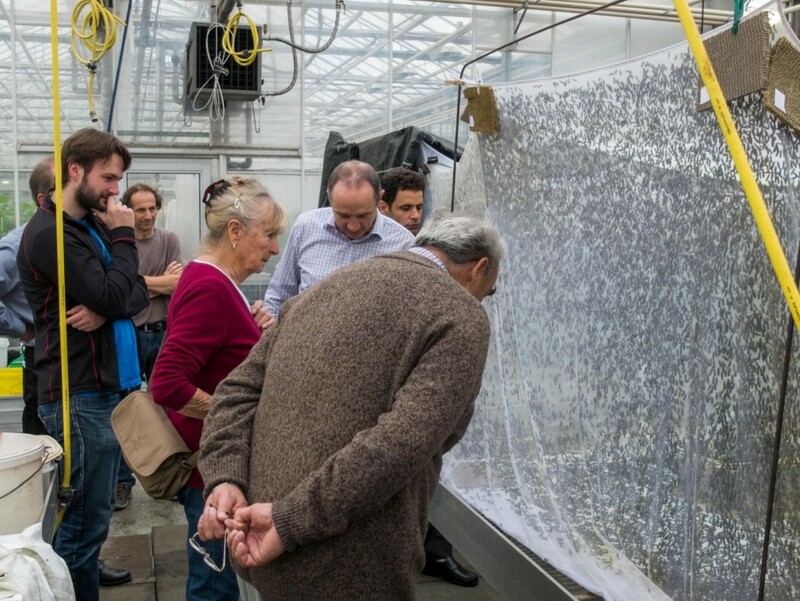 The managing director Heinrich Katz explained the production process that takes about three weeks from oviposition to the full-grown larvae. During this time about 60 kg protein-rich biomass is produced from 10 g eggs. For that the larvae simply need a mixture of bioethanol laitance and crushed grain. Even waste could be implemented by the larvae, which for regulatory reasons in Germany is not allowed though. The event brought a reminder of the importance of the development of new sources of protein to secure the long-term supply of the world’s growing population and dwindling resources.